The benefits of exercise are numerous; reducing the likelihood of heart disease, reducing stress and anxiety, preventing high blood pressure, improving mood and not to mention adding years to your life! While the benefits are clear, it can sometimes be hard to find the time to fit regular exercise into our busy schedules. Lunchtime exercise is a great way of keeping fit and healthy, while still having time in the evenings to relax, meet a friend for dinner or head to a movie. After exercise we are more energised, more productive, less stressed and generally in a better mood so it’s no wonder that a lot of firms and companies are promoting lunchtime exercise! Following ‘healthy body, healthy mind’, the Contracting PLUS Team has recently started lunchtime Pilates classes, following the success of our earlier Yoga classes we thought we’d share some of the benefits with you! –Clears your Mind: Gives you time to relax, unwind and refocus away from work for 45 minutes in the middle of the day. –Reduces Stress: Exercise prompts the release of serotonin (a mood stabiliser) and endorphin’s, giving you that “feel good” factor! –Improves Mental Sharpness: Increased blood flow to the brain suggests better concentration, memory, creativity and problem solving good news for any afternoon challenges! 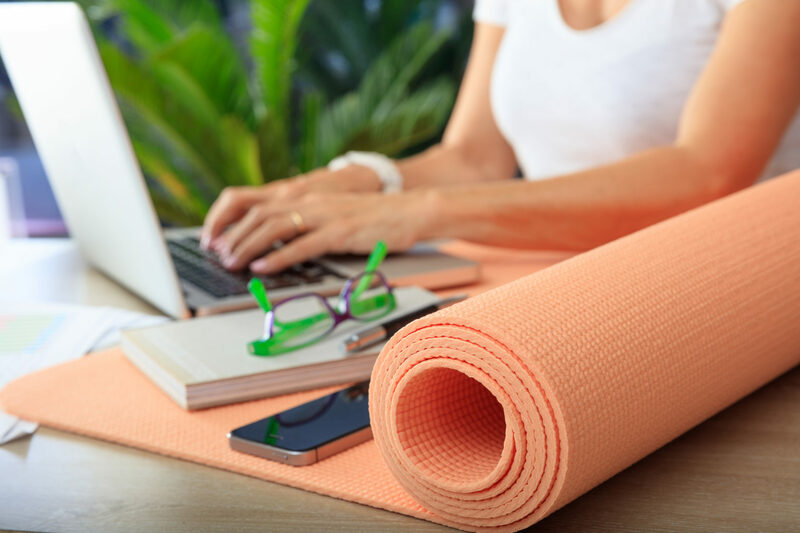 –Improves Posture: Pilates is great for improving balance and posture, relieving tension in the neck, back and shoulders, which can be much needed after a morning spent at the desk! –Group Bonding: Getting active as a group also provides a great opportunity to bond, add variety to the working week and have a bit of fun at lunchtime! If you are looking to organise some lunchtime exercise sessions, we’d advise that you keep in mind that you will be going back to your desk for the afternoon, so maybe go for something that will give you a good workout, but won’t completely wear you out! Don’t sacrifice your lunch for exercise; make sure to leave time to have a light lunch after your workout. And remember, if you’re sitting at a desk for the day, it’s advisable to get up and stretch every hour, regardless of how much Pilates you fit in at lunchtime!! Our Lotus Pilates teacher Lena Anikina’s has been amazing and we are grateful for the extra energy boost she has given us for the afternoons!